4 reasons why everyone should lift weights. 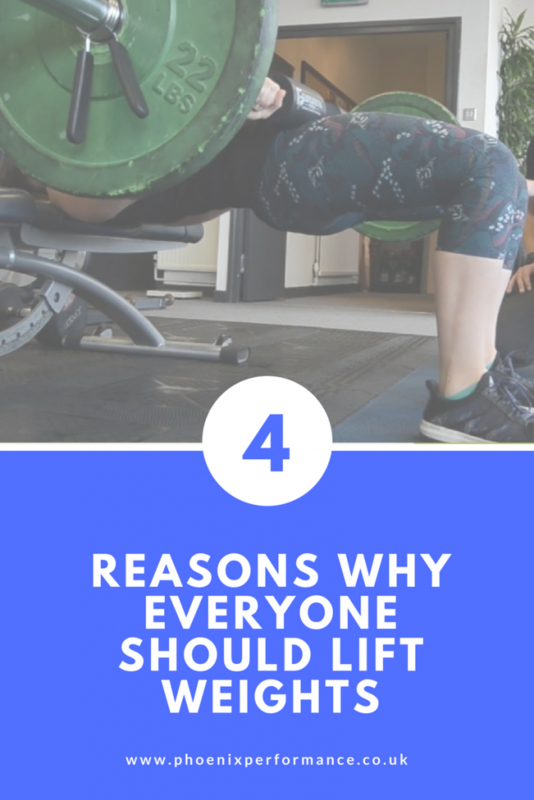 4 reasons why everyone should be lifting weights! It always surprises me when I hear the question “Why should I be lifting weights?” or “weight training is not for me, I’m not a “gym” person”. The reasons as to why everyone should be doing some form of resistance training are endless! But here are 4 very good reasons that should be enough for everyone! y to long term success when it comes to body composition. Do you want to look athletic or just be skinny? Plus, the more muscle you have the higher your resting metabolic rate will be, which means you can eat more without putting fat on! It’s pretty obvious why this should be important to everybody! eights but more a reason as to why it is even more important! Plus if you want to keep your independence as you get older, then being strong and able to look after yourself without having to rely on others will massively improve your quality of life! 3. You will get injured less. It is well documented that resistance training will improve your bone density and therefore reduce your risk of Osteoporosis and Osteopenia, and the risks associated with these conditions, but that is just the tip of the iceberg! At Phoenix we have quite a few members who participate in other sports/activities and quite a few members of local running clubs. They have all seen an improvement in their performance since following a correctly periodised training plan, and a reduction in injuries. If you are taking part in any form of sport, then having a weight training programme to complement and support it will not only allow you to do the thing you enjoy more (because better muscular/structural balance leads to less injuries) but you will be better at it because you will be stronger! There is a good reason professional athletes in every sport lift weights! It is also very common for people these days to suffer with pain in their backs, shoulders, necks, knees etc due to inactivity, poor posture (due in part to the large amount of time we all spend in front of a computer/phone screen!) and being overweight. Regardless of why you are injured or suffering, getting stronger will lead to a reduction in pain and in many cases alleviate it all together! In a recent meta-analysis of 33 clinical trials involving 1877 participants (Gordon, McDowell, Hallgreen, 2018) it was found there was a significant reduction in depressive symptoms in adults, regardless of other health concerns. With mental health issues on the increase, and physical activity among the general population decreasing it is no surprise that it has becomes such an issue in westernised countries! work on your brain as well as your body health! So…..if you want to look good, live longer, stay injury free and happy you should start lifting weights! If you would like to learn more, and discover how we can design a programme specifically for you then click here to book your FREE consultation.